Yesterday, Marvel announced on the View that the current Thor, God of Thunder series will be ending this fall with a new series taking its place in October simply titled Thor. However that was not the biggest part of the announcement. The bomb was that Thor would be losing Mjolnir, and the new wielder will be female. Right away people were screaming to the Nine Realms griping that Thor was going to be turned into a lady, amongst others things that I'm not going to get into here. Anyways, that's not the case and this is nothing new at all. There have been many different takes on Thor including female. It's nothing to get all worked up about, it'll be fine. 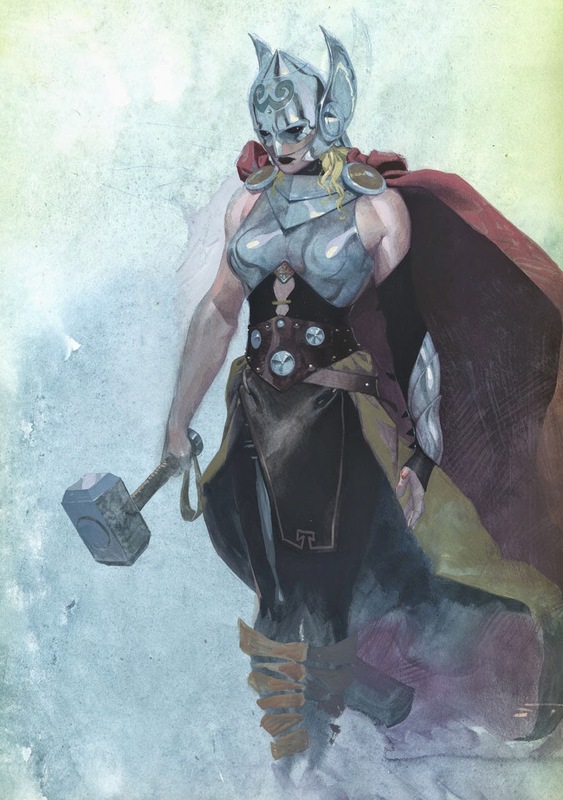 The Thor we know will still be in the new series alongside this new female Thor, he just won't have his hammer, he'll have his axe, Jarnbjorn. So, Thor does something to deem him once again unworthy to wield Mjolnir. This is nothing new and I like having the character relearn his lessons. There is nothing wrong with that. As far as who the mystery woman is, that is something we will learn in a few months. 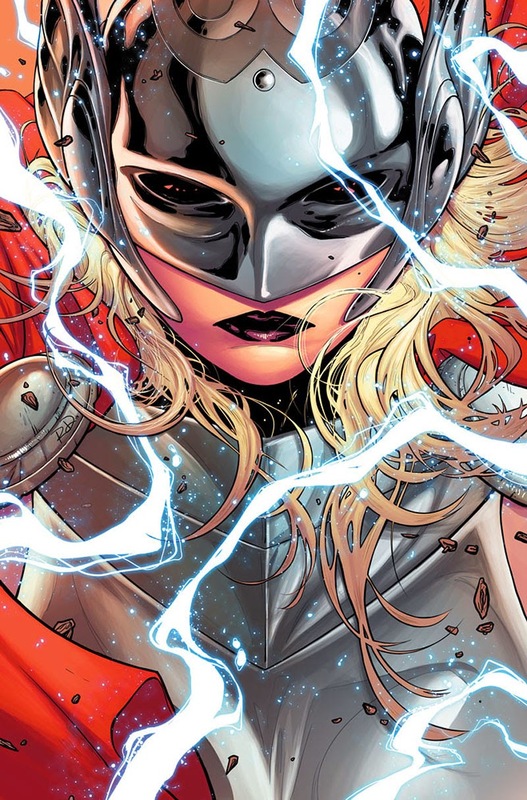 Many comic fans are placing bets on Jane Foster, Thor's newly found sister Angela or one of his future granddaughters. I'm placing my bets on somebody entirely new. Allowing Jane Foster to be this new Thor seems like on old and cliche idea. I can't find anything exciting about that prospect. Angela, supposedly has her own ongoing series being announced just before or at San Diego Comic Con, so rule her out. One of Thor's future grandchildren makes some sense and that also means time travel. Aaron only teased us with an answer of she may be somebody we've already seen in the pages of his current Thor run or it could be somebody he hasn't introduced just yet. Does it really matter who she is? Having some mystery about it makes it more fun. In regard to people who are crying over this for whatever reason, you need to stop and get over it. Jason Aaron has been doing a hell of job writing Thor. He is consistently one of the best writers in the industry, what makes you think this is a joke to him or that he's not going to give this story his best effort? I'm looking forward to it. Seeing one of my all time favorite heroes being knocked down a few notches, having to regain his worthiness while he searches for Mjolnir, which happens to be wielded by somebody else, has potential for a great story, and we all now that this will only be a temporary thing. Let's not crap on before we see the actual story. Don't fret Thor fans, sit back and enjoy the story.